That's so neat! I haven't seen that in Targets yet. But this makes me want to make a chain also. I've a blank wall in my room, and that would spruce it up a bit. The nice stuff about the kits is that it's pre-cut and it's made from really nice heavy paper to it hangs well. However, we used to make paper chains - from wrapping paper, I think - when we were kids. It was one of the items in my mom's neverending well of craft ideas! I gave a peak at one Target, but had a kiddo with me and was in a rush; didn't see it. 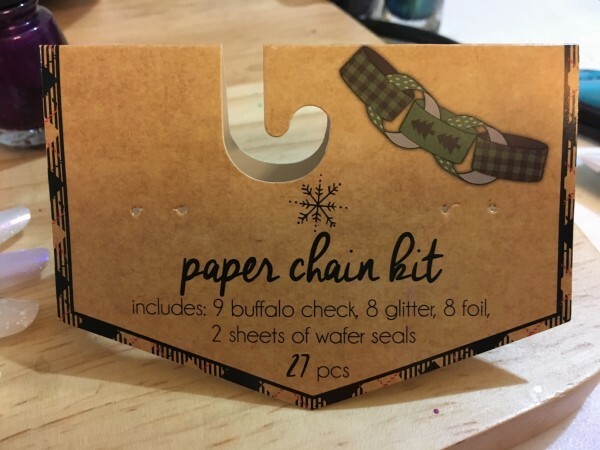 I think I remember making paper chains as a kid. I bet it'd be neat to get some of the glitter scrapbook paper and make them to hang also.